The Taiwanese smartphone manufacturer, HTC is known for launching mid-range smartphones under its Desire series. Today, yet another mid-range smartphone in its Desire series called as HTC Desire 530 has been listed on Dutch retailer’s website revealing few key points about the device. As per the CentralPoint, the Desire 530 will be officially launched on Feb 23rd at the MWC 2016 event to be held in Barcelona. The listing confirms that the Desire 530 is priced at 190 Euros (approx $207) and will come in Stratus White and Graphite Grey color options. Apart from this, there is no other information about the specifications and design of the unannounced smartphone. The Desire 530 will be the successor of HTC Desire 526 smartphone that launched in August last year, and is expected to come with few upgraded specifications. Talking about the HTC Desire 526, the smartphone features 4.7-inch qHD display and comes powered by Snapdragon 210 1.1GHz quad-core processor paired with 1.5GB of RAM and 8GB of onboard storage. It sports 8MP primary camera with LED flash and 2MP front snapper for selfie lovers. It supports dual sim dual standby and also supports 4G-LTE connectivity. It packs a 2000mAh battery and runs on Android 5.1 Lollipop out of the box. Although the company officially confirms nothing, we advise you to take this with a proverbial pinch of salt. Stay tuned for more details about the specifications, design, pricing and availability of the unannounced HTC Desire 530 at the MWC 2016 event that is just a couple of weeks away. Earlier, we exclusively reported about a new entry-level tablet from HTC called as HTC Desire T7 being listed on GFXBench revealing the key specifications of the upcoming tablet. The tablet with model number HTC IV5001-A features 7-inch HD display, Spreadtrum SC8830 quad-core processor, 1GB of RAM, 16GB of built-in storage, 13MP primary camera with LED flash, 5MP front shooter and runs on Android 5.0 Lollipop out of the box. 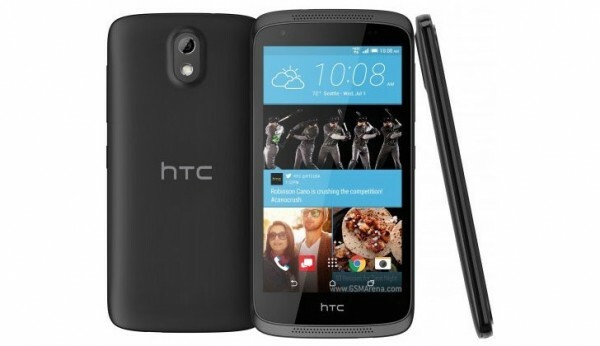 The HTC Desire T7 was also earlier spotted on Zauba listing with a price tag of $170.